I’m asked quite frequently about ‘collecting’. Seems simple enough, you just gather items together that you find interesting and you could call it a ‘collection’. But the question is more complicated than that. If you want a deeper meaning to the things that surround you – then that will take some time. Most seasoned collectors will tell you that they may have made a few embarrassing acquisitions along the way – usually in the beginning stages of collecting. The best defense to a poor collection is to not have a collection – well, not at first. No, you want to gather information about the art or object that you find interesting. Perhaps buy just one example of what you think you would like to collect. For example I have always been very interested in pottery. I purchased my first piece some 30 years ago in a gallery in Minnesota – made by a local artisan. Years later I found great interest in English Studio potters of the 1920’s. 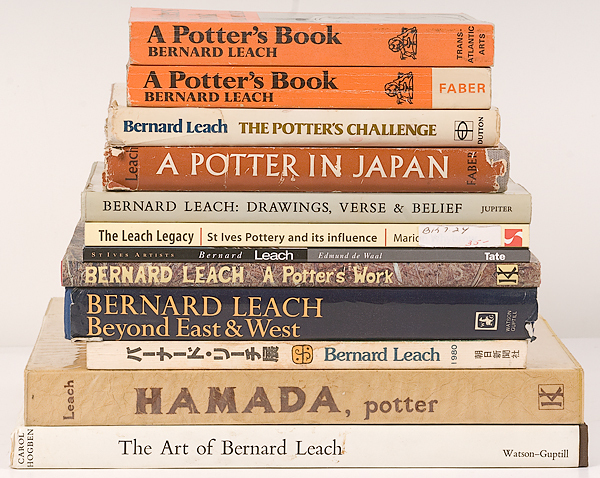 Bernard Leach and his circle were very interesting in my opinion – so books on the subject started to fill my bookcases. Even with all that knowledge on my bookshelves, my first piece of Leach pottery was not exactly what I thought it was. 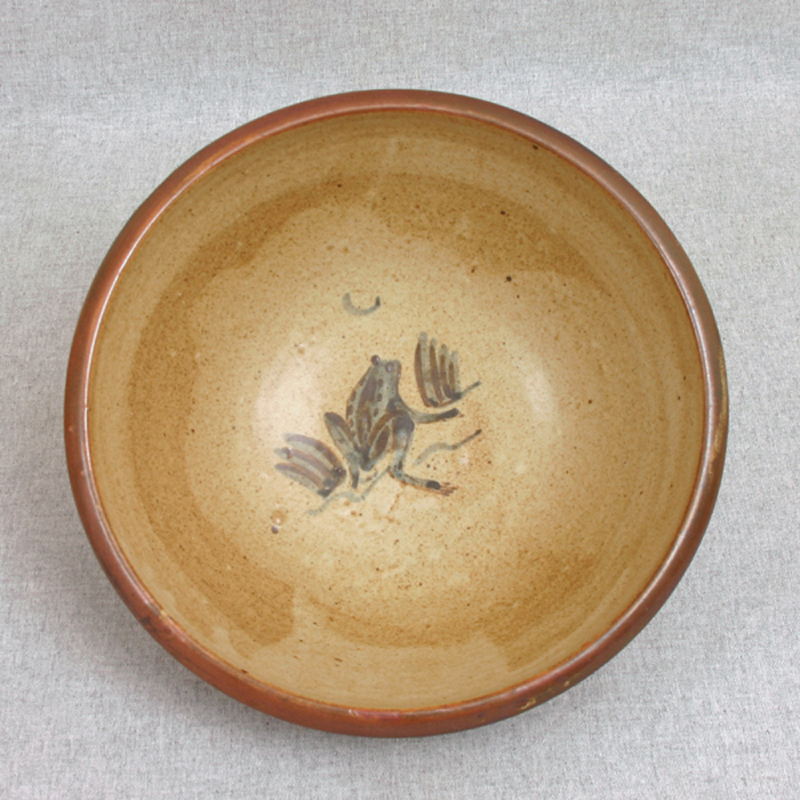 It was from the pottery (St. Ives – in Cornwall, England) – but not by the master Bernard Leach. Experience is the best – if somewhat painful teacher. After a couple more years of study and seeing a few exhibitions of his work I felt confident in my purchasing decisions. This is an example of one of his signature bottle vases in my collection. 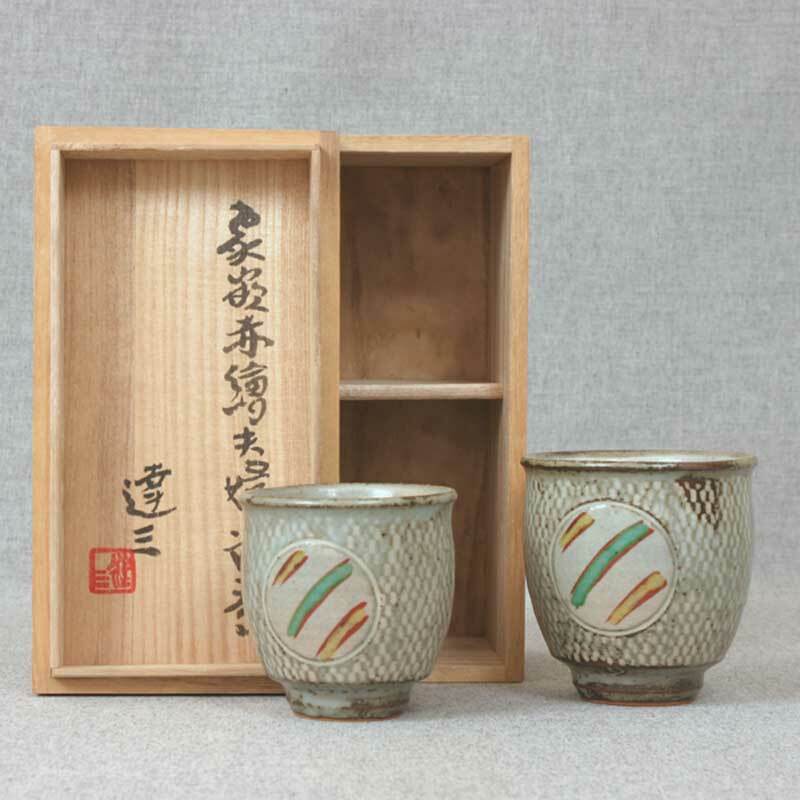 This was a typical decoration of his – a Tenmoku glaze with a finger wipe decoration. Another is this large Frog & Moon bowl he did in the 1940’s. This was purchased from a London Auction house years ago. The bottom with the Potter’s Initials and the St. Ives pottery seal. Other potters will then reveal themselves with further research. 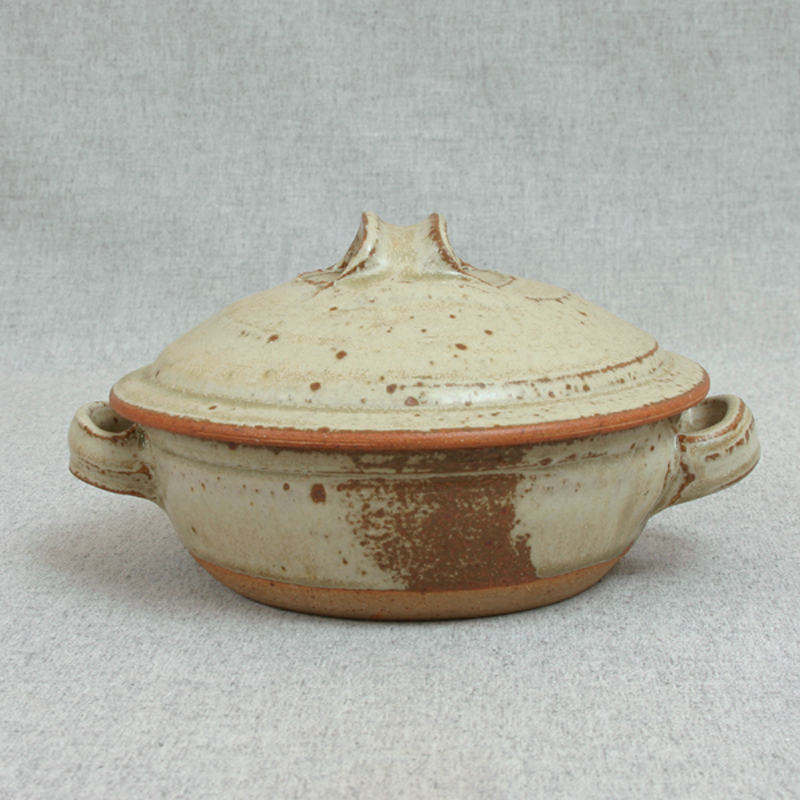 As in this Richard Batterham lidded bowl. 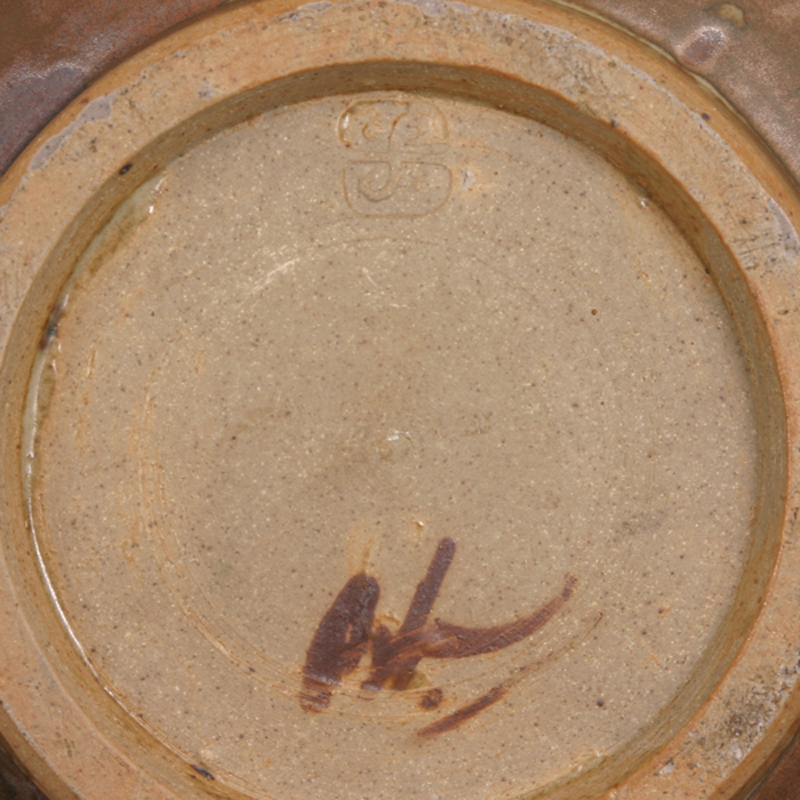 His work is rarely signed or stamped, but his signature style and techniques make his pottery fairly easy to identify. Buying from reputable dealers or auction houses also reduce the risk of a poor purchasing decision. And as your knowledge grows so will the scope of your collection. 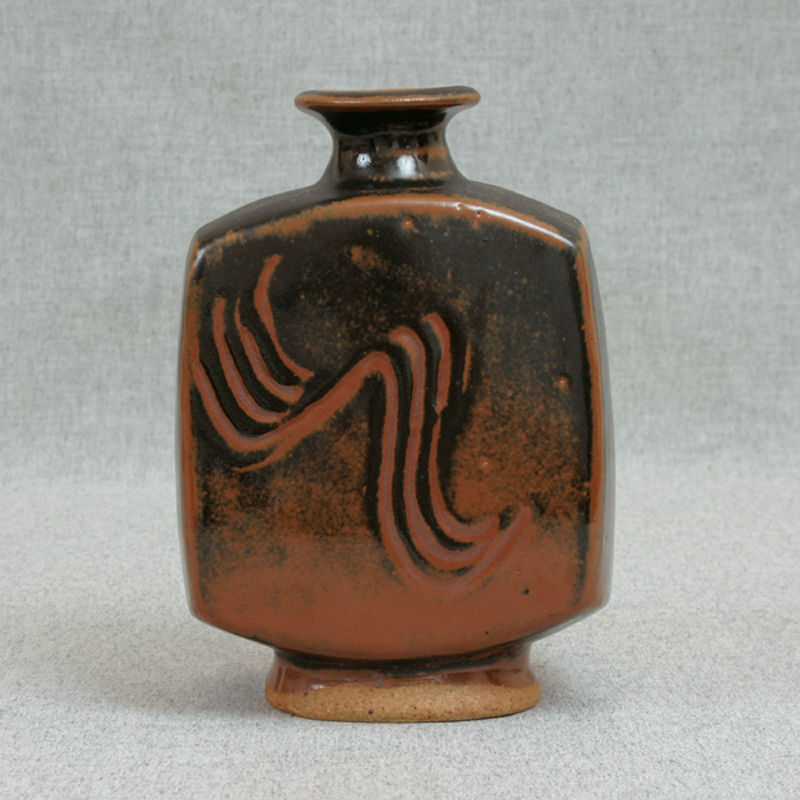 This potter Tatsuzō Shimaoka was connected through relationships with Bernard Leach and Hamada. Collecting should be a journey. One of knowledge, and of the hunt and finally understanding what it is that you collect. 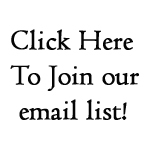 With this approach you will find a much richer appreciation and joy in not only sharing your objects but also your knowledge through your collection. A couple of notes on living with art. 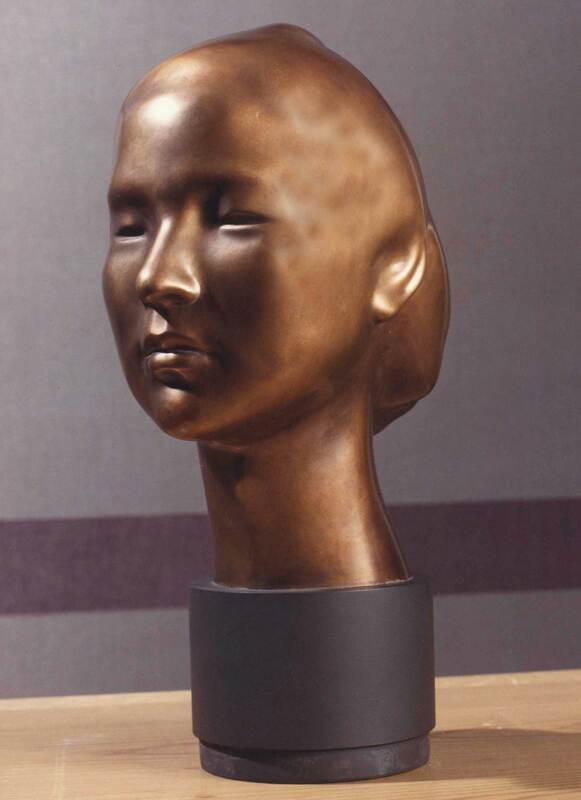 Acquiring a work of art becomes living with art history as soon as the work is collected by the new caretaker. Most people might not realize their role in the history (and survival) of such creations – be it a painting or drawing, a piece of pottery, sculpture, art glass or jewelry. The collector plays an important role in the life and history of the work of art. It’s important that the collector keep a history – their time with the art. Note the date and place where it was purchased. Note any special highlights too – was it purchased from the artist or a gallery? Was there a meaningful or notable occasion? 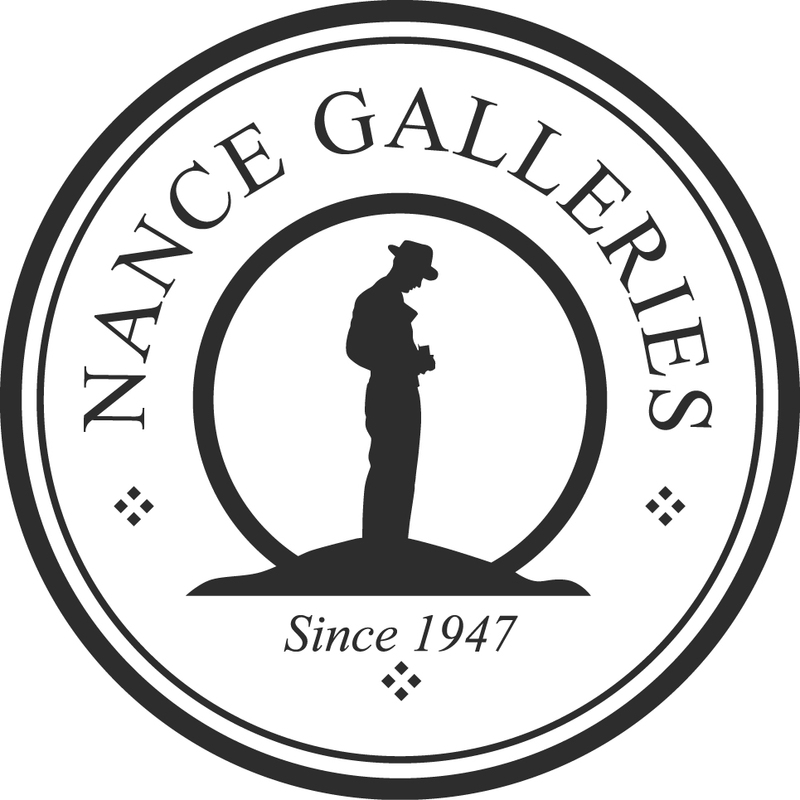 If it was a special exhibition or event, collect any printed materials – show programs, artist bios – even advertizing for the event and keep them with the work of art. If it’s a framed piece, you can have these items attached to the back, or better yet, they can be placed inside under the dust cover with a description on the outside noting more information is within. All pieces should have a file created that shows a photo of the item, purchase price and other information available about the art. This is important for insurance purposes as well as indispensable information when the time comes to sell or donate the item. Your accountant will love you. I’ve been in the art business all my life. My parents started a little photo studio and picture framing shop in 1947. This is a photo of my dad. 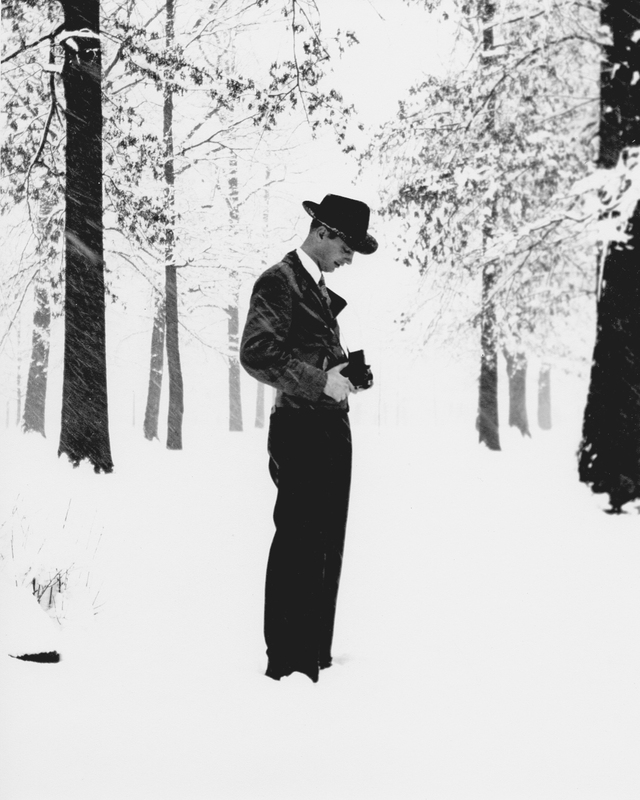 Taking pictures in a snowstorm in a local park (Garvin Park) in 1947. With the latest high waisted coat and Fedora. I used this photograph as inspiration for our logo we use today. The three diamond shapes represent his three sons – and I, being the middle one and the only one to follow in his footsteps is the diamond under his feet. 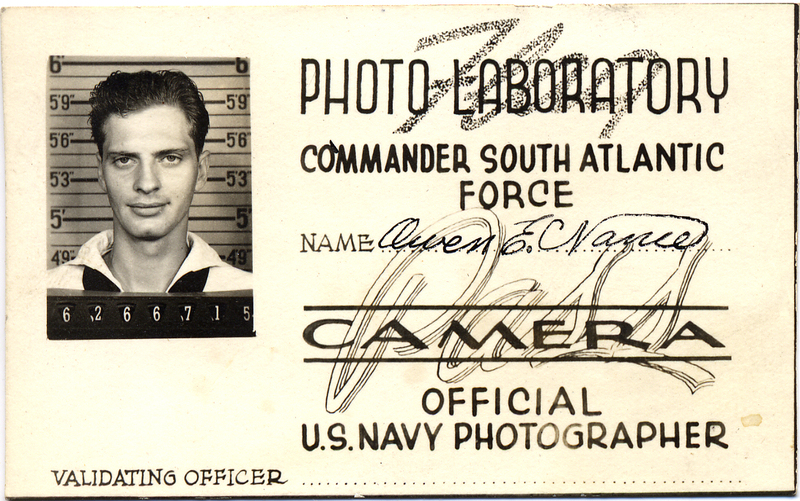 He was a WWII veteran and spent the War as the personal photographer for the Admiral of the South Atlantic Fleet. Stationed in Rio de Janerio – a pretty nice gig. He didn’t start out as a photographer. 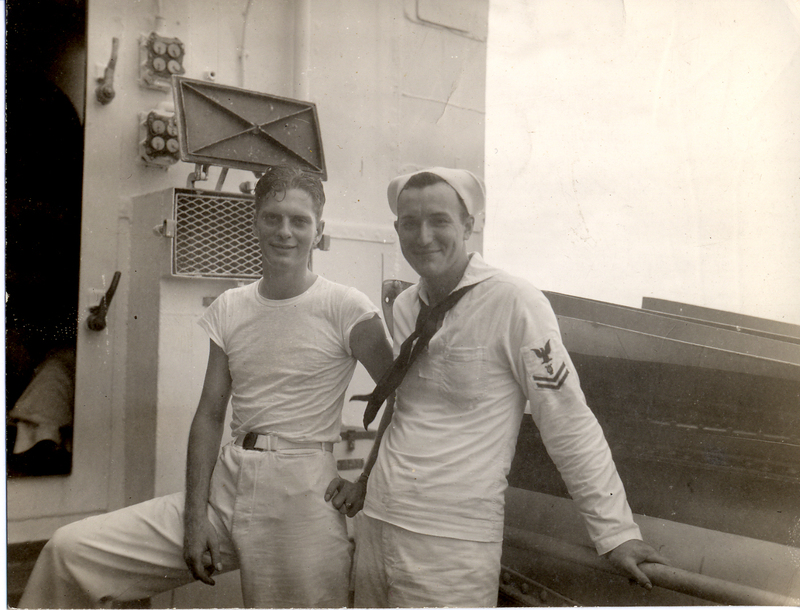 When he enlisted they placed him in the bottom of a light cruiser – as a Machinist’s Mate. That’s where the Navy put him, and he assumed this is where he would stay for his tour of duty. A lot of those boys never made it through the war. Art has an important place in my history. My father was a very good artist and during his down time he would sketch portraits of some of his shipmates. In one of the portraits he drew as his subject the Commander of the South Atlantic Fleet Rear Admiral Jonas H. Ingram. Dad’s commanding officer sent the drawing up the chain off command and it found it’s way to the Admiral. A week later my dad was called up to meet the Admiral and was given the job as his personal photographer. Now I’ll never know for sure, but I always thought I owed a lot to my dad’s artistic ability. Perhaps that’s why I’m so interested in the creative process. It may have been the reason I’m here today.